To make the most of Great Flame, Myrrh wants a Defense boon -- and because Great Flame prevents her from being doubled and her Speed is naturally too low to double in return, she will gladly dump her Speed if possible. Her Attack is excellent as well, so she’d also benefit from an Attack boon, particularly if she replaces her weapon or uses Heavy Blade. If opting for Lightning Breath, her Resistance is a good boon choice, but Great Flame is so powerful that it’s worth finding the IV to match it. +ATK: One can never go wrong with +ATK, which helps her deal more damage and is useful for potential Heavy Blade synergy. +DEF: Picking a Defense boon is optimal for Myrrh’s weapon and should be prioritized above all else. HP: Myrrh’s HP isn’t high enough to reliably utilize Panic Ploy, so she can also drop a few points here. RES: Myrrh’s Resistance is definitely up to par, but is not the most important part of her stat spread- it should be left alone to keep her viability as a Distant Counter user if possible. -SPD: Dropping Speed is optimal on Myrrh unless you’re replacing Great Flame. Myrrh is inarguably the best thing to happen to flier emblem since the game’s release. With her, not only do fliers finally get a non-seasonal magical attacker, but her stats and skillset are perfect for countering flier teams' biggest headache: bow users. While a Distant Counter/Iote’s Shield set can be reliably run on any unit with reasonable Defense, Myrrh takes this a step further and utilizes her breath weapon and sizable Defense stat to shut down Brave Lyn’s Mulagir. 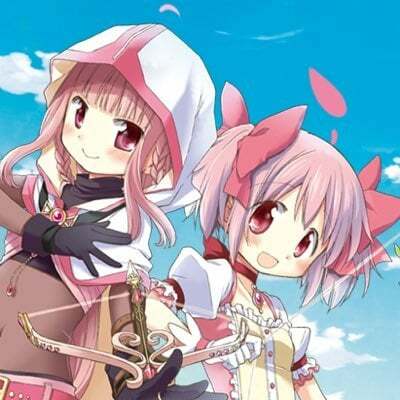 In addition, no bow user in the game is capable of doubling or quadding a +Def Myrrh at all. But that isn’t all -- Myrrh's sizable 31 base Resistaance also enables her to shut down threatening units like Reinhardt, Nowi, and Linde. If Distant Counter is too big of an investment or if Myrrh is -Def, then she can free up her A slot by running Lightning Breath instead. This leaves her a little more vulnerable as she can be easily doubled with her low Speed stat, but it opens up her A slot and grants her a free +4 Defense or Resistance and +5 HP if you refine her weapon. With Fury, this evens out to a 39/38 Defense/Resistance spread -- 45/44 with Fortify Fliers. This turns her into a more standard tank similar to Sheena. Due to the necessity of Iote’s shield, Myrrh has a harder time running Heavy Blade and so she prefers Glimmer or Bonfire as her Special. As previously mentioned, Glimmer will always activate in Enemy Phase, and Bonfire will prime for activation in the following Player Phase. Iote’s shield is definitely preferred for her seal slot so that she can function as a wall for arrows on your flier team -- however, Deflect Missile is also an option that will earn more points in the arena while keeping her alive vs brave bow users, though they will leave her with significantly less HP. This set highlights Myrrh’s amazing synergy with dragon emblem, which allows her to play a heavily-destructive Enemy Phase tank role, enabled by an optimal +Def -Spd IV set. While one would normally want to pick up Distant Counter to synergize with Great Flame, Myrrh’s inherent weakness to bows means that she’d need to lose out on her seal slot to simultaneously run Iote’s -- and if she’s operating with a team of dragons, it’s likely that she has an ally with Lightning Breath to cover her ranged weakness already. It’s far better then to focus on optimizing her Great Flame for melee encounters and leave the Distant Counters to her allies who would prefer to run Lightning Breath. Granted, they won't have to worry about potentially unfavourable melee matchups, as Myrrh excels at melee encounters. When attacked on Enemy Phase, she has a staggering Defense of 44 with Atk / Def Bond, which can be pushed up to 50 with Fortify Dragons and 53 with Defense +3 in her seal slot. This all but guarantees that her Great Flame’s Sweep effect will activate, making it almost impossible to OHKO her outside of a few high damage red magic attacks. With Quick Riposte, Myrrh is also guaranteed a follow-up attack of her own, meaning that, if she activates Heavy Blade (with her 56 Attack), she will be granted a guaranteed +22-25 damage Bonfire proc on the second retaliation. For this reason, Quick Riposte is her ideal B slot, as running any other skill in her B slot wastes her damage potential -- though you can run Renewal for a bit of recovery for longer battles if you’re more interested in a sustaining tank. Bonfire is still generally recommended on her, though her ideal special really boils down to player preference. Due to the Great Flame, Myrrh generally cannot be doubled, so 4 cooldown specials (such as Ignis) will not proc on the first engagement. This does mean that after she’s attacked, however, she could then have Ignis primed for a massive +36-44 damage beginning her next turn. Aether could also be primed (again, if Heavy Blade activates) for a Player Phase attack, which would heal her up for her next engagement, though it would do notably less damage. Her C slot is variable, but if using her in a dragon team, Hone Dragons is ideal on her as Myrrh doesn’t care about utilizing the Speed buff herself since she generally cannot be doubled. If she’s running Heavy Blade, she may be in need of an Attack buff from her fellow dragons, but overall she benefits the least from Hone when compared to dragons such as Nowi or Young TIki. Threaten Atk is also decent on her, as it will make her Heavy Blade more likely to proc, though giving up class specific buffs is a questionable choice. This set relies on Heavy Blade being run in her seal slot -- though if you’d prefer to mitigate her damage potential for team synergy, she can run Glimmer instead (for Enemy Phase activation) or Bonfire (for following Player Phase activation) and run the Guidance seal, which takes advantage of her flier status to offer her team more mobility. Close Def is a bit more basic, but gives her some leeway on Great Breath’s restrictions, particularly when facing down high Defense units with good Speed like Amelia. Myrrh’s Atk/Def Bond/Heavy Blade set rivals her Distant Counter/Iote’s Shield set in utility for mixed teams and either can be run effectively, depending on the team composition around her. 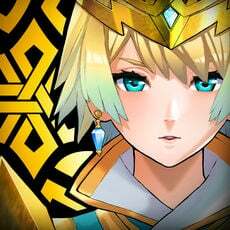 If she’s teamed up with someone who can handle archers and other ranged counters, then the first set increases her damage potential; if she is the ranged counter within a team then this build will prove more effective. While Myrrh benefits immensely from the +6 Defense buff that is generally granted to her by dragon or flier teams, she can still function just fine on her own in a mixed team while offering her infantry/armor allies Guidance support. Quick Riposte should always be taken and Great Flame should always be utilized (unless, of course, Myrrh is -DEF, in which case it may be necessary to consider a Lightning Breath build. Stay far away from a Heavy Blade set if Lightning Breath is used, as Myrrh's Attack will be lower than is generally necessary for Heavy Blade's activation condition). The rest of the build depends on what purpose she will serve on a team. Threaten Def helps to bolster activations of her Great Flame's Sweep effect, which may be necessary against heavily armored teams if she’s not receiving a +6 Defense buff. Threaten Res makes her attacks more potent, and Hone Speed supplements her allies with a widely-appreciated Speed boost. As the first hybrid dragon / flier type unit, Myrrh comes with a high stat total, a fantastic native weapon that works well with her stat distribution, and the ability to synergize with almost any team. While her Great Flame’s effect prevents enemy doubles on both Player and Enemy Phase, it’s more advantageous to use her as an Enemy Phase unit, as Quick Riposte will ensure that she attacks twice. Of course, her Defense is the most important thing about her, as it bolsters her ability to negate doubles against her. This makes it vital to focus on when building her as a unit -- skills such as Steady Stance, Atk/Def bond, and other Defense-boosting skills are good to run on her as they help to broaden the gap between her Defense and the Defense of the units she’ll be facing. Overall, Myrrh is an incredibly resilient unit who packs a significant amount of firepower and has a unique synergy with most units, as well as a playstyle that allows her to safely attack during her player phase, unlike many other enemy phase tanks. It’s difficult to think of a good reason not to put her on the field -- she’s more than earned her spot on almost any team. Myrrh's Great Flame prevents doubles on her if the enemy’s Defense is 5 or more below hers while granting her Atk +3. This pseudo-Wary Fighter skill means that it’s entirely likely that Myrrh will simply never be doubled, which allows for incredible sustain. She can also run Quick Riposte, which guarantees her own doubles while Great Flame negates her foe’s. This allows her to guarantee special activations such as Glimmer, for added damage to her already significant damage potential. In addition to its Earthsweep effect, Myrrh’s weapon is also a breath weapon, with the added bonus of attacking the enemy’s often-weaker Resistance stat. 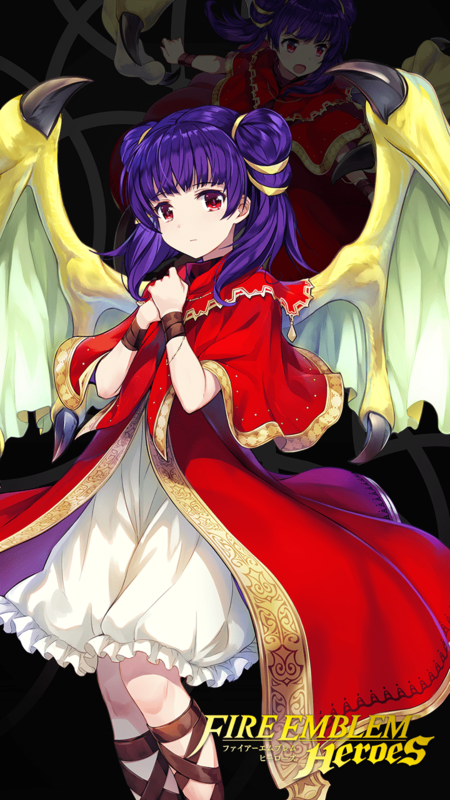 Myrrh can give and receive buffs meant for both dragons and fliers, meaning that she can be optimally run on exclusively flier or dragon teams. She can also use Guidance and Hone Dragons on a dragon team, and is able to Reposition her teammates over trees, rivers, and mountains. Conversely, she’s also the only non-seasonal flier to attack the enemy’s Resistance stat, and the only flier capable of counterattacking at a range without sacrificing a Hector. Myrrh’s base stat total is 167, a mere 2 less than Hector. Because of this, not only is she a successful tank and attacker, but she also can function as a high level Arena score carry if you can get enough merges for her. Her stats are built optimally for the Great Flame, dumping speed for an incredibly tanky 36 base Defense. In addition, her respectable Attack stat is further boosted by her weapon, giving her an impressive 52 Attack at base. 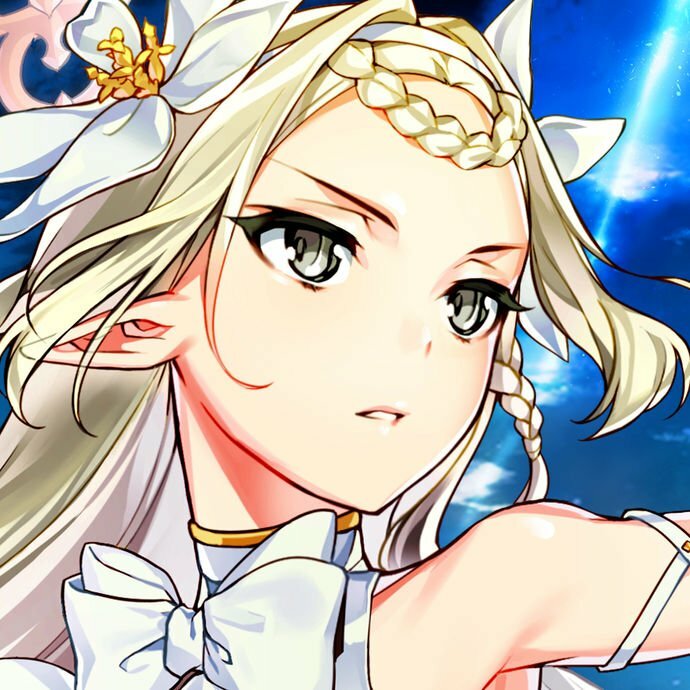 For all that her Resistance has been barely commented on in this page, a base of 31 is also very good, and serves her well in common meta matchups with units such as Reinhardt and Nowi. Myrrh’s dual unit typing doesn’t come without its drawbacks -- she also shares the weaknesses of both dragons and fliers. She is weak to bows, Excalibur tomes, Naga tomes, and Falchions. While the first two can be mitigated somewhat with Iote’s shield, it requires sacrificing a seal or A slot to do so. Myrrh shares Fae’s extreme weakness to Falchion, and will be KO'd very easily by a properly built Lucina or Chrom. Myrrh relies heavily on her Great Flame to protect her from enemy doubles, as her own base Speed of 25 is quite poor. If her Defense does not meet the Great Flame's effect activation requirements, then she’s almost guaranteed to be doubled by the enemy. In addition, Myrrh will also be unable to reliably double during Player Phase. The only way she can reliably double her opponent on Enemy Phase is through Quick Riposte. As mentioned, Myrrh shines on dragon and flier teams, but can easily hold her own in any sort of mixed team -- particularly if that team has a defensive buffs she can use. She performs well with blue units that she can buff who can cover her weakness to reds, and she covers red units from their blue weaknesses quite effectively. Blue Fliers: Cordelia, Clair, and Est can be given a speed buff by Myrrh, while Myrrh can take advantage of a defensive or offensive buff (such as Fortify or Hone Fliers) from them. Blue Dragons: Nowi and Ninian can provide Fortify Dragons and are Honed by Myrrh in return. Furthermore, Nowi in particular is incredible at dealing with ranged threats that may be fatal to Myrrh if she isn’t running Iote’s shield. As a bonus, Ninian can further support Myrrh with Dance. 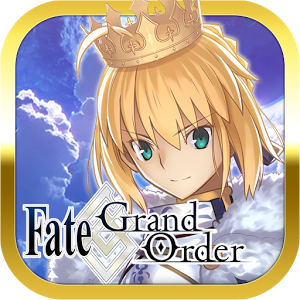 Armored Units: Effie, Hector, Black Knight, and others gladly take Guidance support from Myrrh, who is also abale to attack the enemy's Resistance without falling out of armor BST bracket. In addition, Great Flame gives her pseudo Wary Fighter, which allows her to fit right in with her heavily armored allies. Myrrh shares double weaknesses with fliers and dragons, and is uniquely weaker against units with higher defense stats. Otherwise, she generally needs to be oneshot in order to be killed in one turn, so massively-high damage attacks will KO her more easily than a slow and steady approach. High Firepower Reds: Lilina, Sanaki, and Young Tiki all possess high Attack stats, which they typically trade for middling Speed. However, Speed becomes irrelevant in a matchup with Myrrh, leaving her vulnerable to high damage magical attacks. Young Tiki is especially brutal as well because her defenses can rival Myrrh’s, which would potentially allow her to break through Great Flame’s Sweep ability and unleash a devastating double attack. Falchion Users: like Chrom, Lucina, Alm, and Marth can cripple Myrrh, with the most notable of them being Chrom -- his massive Attack stat and ability to deal effective damage in addition to Myrrh’s triangle weakness means that a +Atk Chrom can oneshot even a +Def/Steady Stance/Fortify buffed +Def seal Myrrh, who has 54 effective Defense. Lucina and the other Falchion users also have a oneshot ability, though with enough defensive buffs, Myrrh can survive them. Effective Damage Dealers: Brave Lyn, Bridal Cordelia, Deirdre, Julia, and Merric use Bows, Excalibur, or the Naga tome, which are all effective against Myrrh. Her superior Defenses and potential to carry Iote’s Shield can help to mitigate her bow weakness somewhat. This build is geared toward's Myrrh's ATK and DEF stats and using them to deal as much damage as possible, while also reducing damage taken from enemies. Thanks to her having high ATK and DEF, it would be a no-brainer to give her Brazen Atk/Def, thus improving Ignis' damage output even further when her HP starts getting low. Seal Atk and Threaten Res are used to weaken an enemy's damage output and damage taken from dragons/magic respectively. Myrrh by default can be a bit of a glass cannon since she's both a dragon and flying unit, making her more vulnerable to units that have weapons that are effective against dragons (i.e. Falchion, Naga, etc.) and flying units via bows. This is amplified a bit more since her SPD isn't that good either. If you happen to have Iote's Shield available, having Myrrh equip it will make it easier for her to deal with bow units and could potentially counter them as well. Rally Attack is optional depending on what your teams consists of. In other words, adjust accordingly. Pretty standard build for a flier team, unfortunately I'm out of distant counter so brazen atk/def is a placeholder. One of my favourite units to use, with flier buffs, she becomes almost unkillable. However, due to a lack of distant counter she does lack the ability to kill ranged units. Nonetheless, a very strong unit. This build aims to be a mixed ranged tank, for the ones who got a -DEF Myrrh or just don't have DC fodder. We change Great Flame for Lightning Breath, because a -DEF Myrrh suffers the superbane of her defense, and with all the high def units, we prefer to use her for other role. We can refine her weapon for her RES, as we want her to tank ranged threats (mages). To compensate the lack of attack and defense, we should use ATK/DEF bond for her A slot. In this way, her bulk will be 37/35 when you are near an ally. Also her attack will be 50, a more considerable value. Her B slot is QR3. As her role of tanking attacks, we prefer QR3 than QR2, because as she will be getting hits and doubling her, we need to stay in that range the maximum possible. C slot is Hone Dragons, in case you bring her in a Dragon team. you can consider to use Ninian with her in a team, as she will buff her defense into 43/41 if near an ally, and also she will get dancing suppor for positioning, or even kill an enemy that she couldn't kill in one round because of her speed. 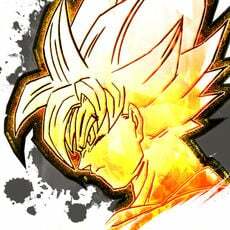 If not, you could use Atk Smoke for more tankiness, or any other flier team C slot. For her special I would suggest Glimmer, for extra damage on retaliation, or Bonfire for the next turn. For SS, you should use Iote's Shield, because now you can counter archers, and it's very essential. You can counter Reinhardt B!Lyn with this build, as giving attack support to your dragons or your fliers. +res boosts her already pretty high res stat so she can tank mages more reliably. At the same time -spd doesn't hurt her very much if it even hurts her at all, thanks to Great Flame denying almost all follow-up attacks. A movement assist skill is best so she can move an allied unit out of the danger zone. This is especially great on a flier team with units like firesweep cordelia or other purely offensive units. Reposition is the best choice since it allows her to sometimes stay in the danger zone herself, while the one it's used on is moved out of it, thus allowing her to take out an enemy on enemy phase. Aether lets her keep her hp high, which should already stay high thanks to her high defenses, but Aether helps this a bit more, especially if she has to stay within the quick riposte treshold. Her own Bonfire is a strong alternative too, since it allows her to fire high damage specials, however the healing from Aether is greatly appreciated, and thanks to her high attack the extra dmg from Aether is usually enough. Distant counter is best as an A skill, since it allows her to counter attack versus bows, daggers and mages, all of which she is able to handle really well. If it's not available, fury works perfectly well too, granting her a +3 to all stats, although the dmg taken after combat makes Aether almost mandatory to keep her hp high enough for quick riposte. Quick riposte (combined with distant counter) enables her to counter attack twice any time she is attacked. This is necessary for Aether to activate consistently, and to kill enemies with high hp, who would otherwise be left with a little hp left. If this is not available vantage is a good second choice, but it's in no way better than quick riposte. Hone fliers gives her more offensive flier allies a great boost to both their attack and speed, from whom she can receive a fortify flier buff to boost her defenses even further. Obviously fortify fliers can be used too, or she can use hone/fortify dragons if she is used on a dragon team. Finally she can also use guidance on a dragon team or flier formation on a flier team to allow for more flexible positioning. Iote's shield is needed to enable her to easily tank bow wielders, who may otherwise pose a threat to the rest of your flier team. If running her on a dragon team, or if Iote's shield is already taken by another flier, close or distant defense both boost her defenses even further against either melee or ranged units. Finally, def +3 can be used too to make her great flame's special effect deny more follow-up attacks. All in all this build allows Myrrh to function well on both a dragon and a flier team. This built is mainly focussed on staying alive, while dealing a lot of damage with her naturally high attack. Since a flier and a dragon team both have to deal with different problems I might have missed an option for a strong skill to support this build. Also this build works with almost any boon/bane except for a res bane. Great FlameGrants Atk+3. If unit's Def - foe's Def ≥ 5, foe can't make a follow-up attack. If foe's Range = 2, damage calculated using the lower of foe's Def or Res. Hone DragonsGrants adjacent dragon allies Atk/Spd+6 through their next actions at the start of each turn.